Baisa ho ya Bhabhi sa, Manuhaar ho to Royal Ranisa jaisa. Looking royal doesn’t necessarily mean you spend the hefty sum, you can hack your way to looking gorgeous, daily. Looks do matter and when it comes to looking royal, you definitely don’t want to miss out these hacks that make you look royal and very pretty. Dressing up every day is a routine for us, but what if you can amp up that game and take it to the next level? 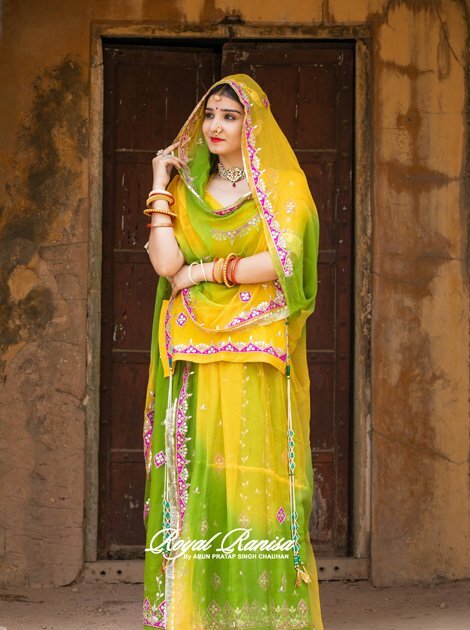 Ethnic, traditional dresses make Indian women look spectacular. 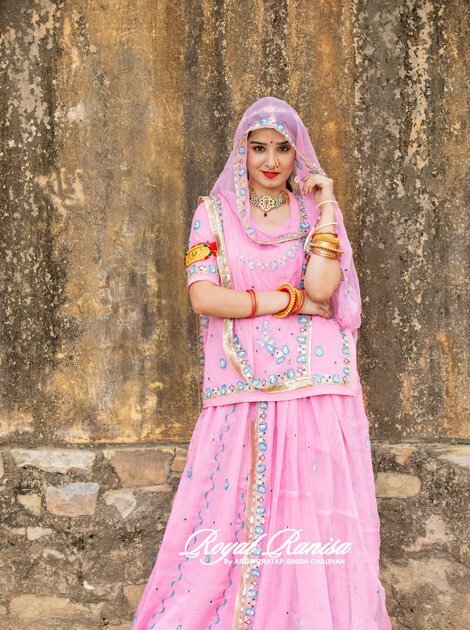 Well before indulging into the amazing Rajasthani Poshaks, you must keep this in mind as to for which occasion you want the dress. Because the best Poshaks are sure to leave you spellbound and wanting for more. Plan in advance, and keeping in mind the occasion, shop the dress accordingly. This makes you not only shop the best one for you but also get the best Rajasthani Poshak at an affordable price for you. This hack applies to all, even if you are shopping for your mother or sister or anyone for that matter, you can be their personal shopper next time! Not only you’re back to square one (not having the dress for the occasion) but also the bought dresses sit on the shelves for decades till we clean the wardrobe next time. We hope this doesn’t happen to you and you have a pleasant shopping experience. The best solution to this could be that you make a list of dresses you want to buy next time you’re out in the market. This will make you stick to exactly what you want and you’ll end up being a happy customer and flaunt the dress as and when you want. Okay you have orange and pink, and green and red, but are you still going to buy the same next time? Sure you want to look out for diverse colors that enhance your beauty and give you a fresh look, on a budget. Well the good part is, the colorful Poshaks are not very far from you, affordable Rajputi Poshaks in Jaipur, made available by the Royal Ranisa, give you enough liberty to shop from a huge variety. We have exclusive Poshaks, (very affordable) to make sure we have one that suits you the best. Though we craft the Poshak in a way that every color suits you, but we also understand that you have a special preference. Each color decides the mood and sets the tone for the day. Here’s how each color can have an effect on you and tell a lot about you. Color of passion and enthusiasm (not to forget, the maharani’s own color). It makes you look Royal in no time. It makes you stand out in the crowd and catch eyeballs. The bright sunny color will definitely make you shine (no kidding). You come across as chirpy, lively and definitely one you want to pick up when on a tight budget. This one goes a long way and is a summery color, one you must have in your wardrobe. So follow these hacks next time, and for a more personal experience, visit our shop where we exhibit all the collections, and you will get only the best Royal Rajputi Poshak in Jaipur. Visit our shop where we exhibit all the collections, and you will get only the best Royal Rajputi Poshak in Jaipur.